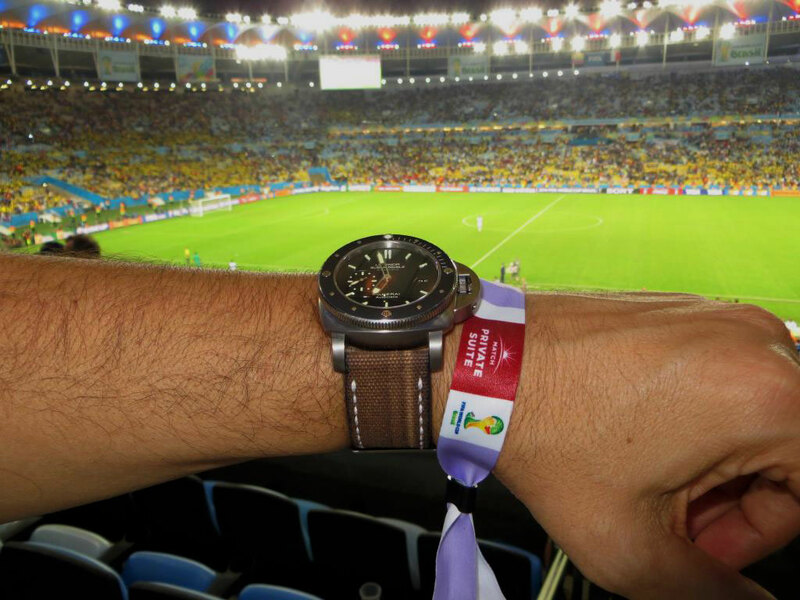 Felipe took this photo of his Panerai Luminor Submersible at the recent World Cup match between Ecuador and France. Hi Everybody! I am excited to introduce you to a new member of Jake's Panerai World writing team, and her name is Maria. Maria is a dyed in the wool Panerai fanatic of the highest order! 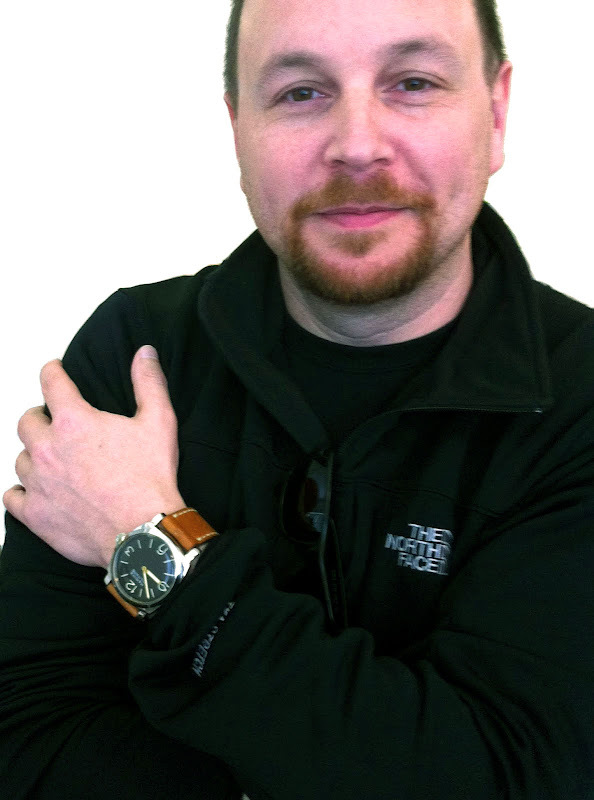 As a matter of fact, Maria was originally a reader of Jake's Panerai World, and she wrote in to ask my opinion on the Panerai model I wear, which is a PAM372. Maria was thinking about purchasing a PAM 372 for herself and had questions about it. Since Maria also lives in San Francisco, we got together in person and she tried on my PAM 372, and loved it, and plans to buy one soon! I was shocked at how passionate Maria was about Panerai watches, and since we met, we have been talking quite a bit and exchanging ideas and information about Panerai watches. I noticed when she and I talk about Panerai, she offered a completely different and fascinating female perspective that is fun, unique and refreshing, so I asked he if she would consider blogging on Jake's Panerai World, and she agreed. The story below is Maria's first story, and I have to say I am amazed at how insightful her perspective is. I think I have met my match, in the sense I wouldn't be surprised by a male Paneristi who shared my passion and enthusiasm for the brand, but, I was shocked and stunned to run into a woman who does. So please join me is offering a warm welcome to Maria, who will be sharing her insight and passion on Panerai, from a woman's perspective!!! In the future Maria will also be offering her thoughts on different ways for women to accessorize their Panerai by dressing it up or down. Maria's first story covers the PAM 518 which I first saw earlier this year when Panerai introduced it at SIHH in Geneva, Switzerland. I am certain you will love Maria's coverage of this stunningly beautiful Panerai watch! The Platino Chronograph is part of Panerai’s Special Edition Collection–and it indeed is very special–with only 50 pieces made for the international marketplace and they retail for $78,000! If the shear exclusivity of the Limited Edition Platino doesn’t tempt your palate, then the stunningly bold and timeless aesthetics surely will. This beautifully solid 45mm Platinum Cushion Case has a hypnotizing tachymeter scale running along the perimeter of the dial, which calculates the average speed for any type of competition you may be involved in, even if it’s just for fun. Jake took the photo of me below wearing the all-new PAM518 at the recent Panerai Shreeve event. I really like the way it looks and fits so elegantly on my wrist, and I like how strong looking and striking it is. I could rock it just as good as any gent with a crisp clean-collared shirt and slacks, or wear it on a day out on the boat. I could even sport it with my Sunday's Best. I really like the sophistication of the PAM 518 dial, which pays homage to the original Rolex made prototype Panerai from 1936 (more on that later). The dials outer tachymeter ring has a beautiful blue minute-hand, as does the 3 O’clock subdial which is used for counting seconds. The 9 O’clock subdial counts hours, and has a gold arrow hand. At 12 O'clock, the dial has a set of matching luminous stick markers, and at 6 O'clock it has a single stick marker. The rest of the luminous markers are circular and tastefully positioned on the dial, which were a perfect choice–minimal but far from being unnoticed. The subdials sit on a soft ivory dial which is swept over by the blue central chronograph hand. The heavenly blue accents on the ivory dial work together harmoniously, like the big blue sky with white clouds (in reverse). The Platino vault offers a vintage looking plexiglas crystal, instead of a sapphire crystal, which gives the PAM 518 a romantic warm essence and timeless beauty when looking down at the beautiful piece. 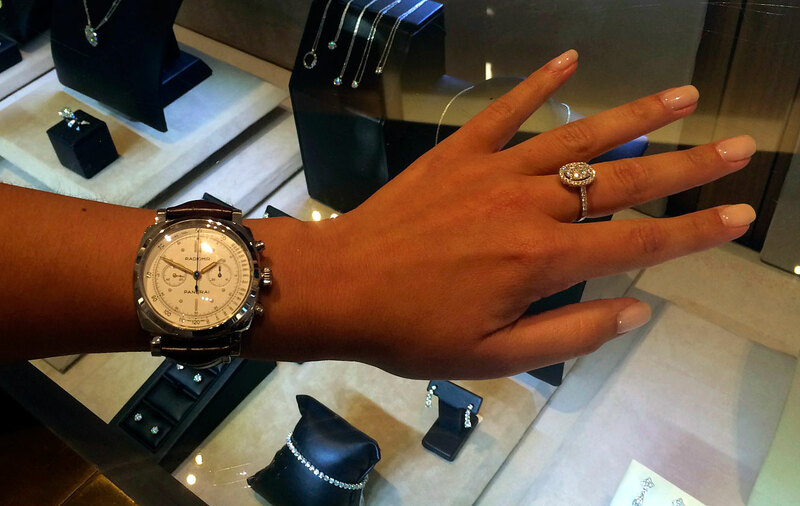 When I tried on the Platino 518 it felt like a 47mm watch instead of a 45mm watch. This is due to the exquisite detail of the Platino on a large ivory dial and I believe it is the largest white dial Panerai has made to date on a Radiomir. The 518 has a larger than life look and grand feel. Anything larger than a 45mm wouldn't work and Panerai did a great job with its proportion. Also, the PAM 518 is on the thinner side with a very flat back, kind of like a PAM 372, so it lies flat on the wrist, which looks great. 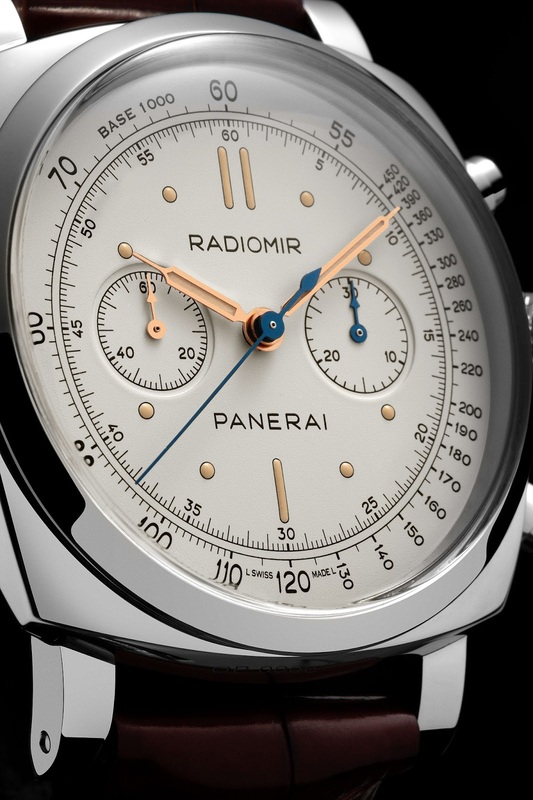 It's interesting to note that one of the details that makes the dial look so clean, is that the Radiomir dial designation looks really simple and uncluttered, as does the Panerai dial designation below it. This reminds me of the beautiful simplicity of the PAM 210 and the PAM 231, which are also both 45MM. The Platino 518 is derivative of and clearly inspired by the first Radiomir Panerai prototype ever made, known as the Reference 2533, which was made by Rolex for Panerai in 1936. 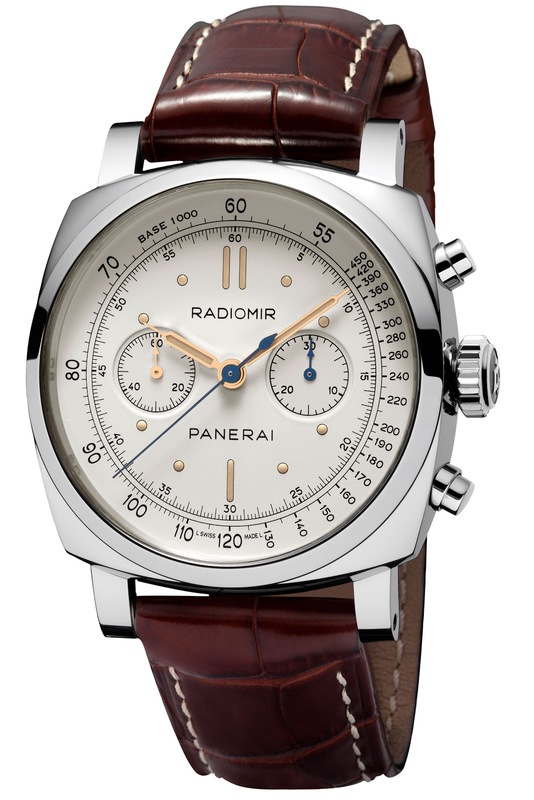 The Reference 2533 was the beginning of the vintage Radiomir as we know it. The 2533 used a 47mm Rolex pocket watch cushion case, which as a standard featured, included lugs that were soldered on the case, as seen below. The Reference 2533 featured a Rolex movement and Rolex winding crown. 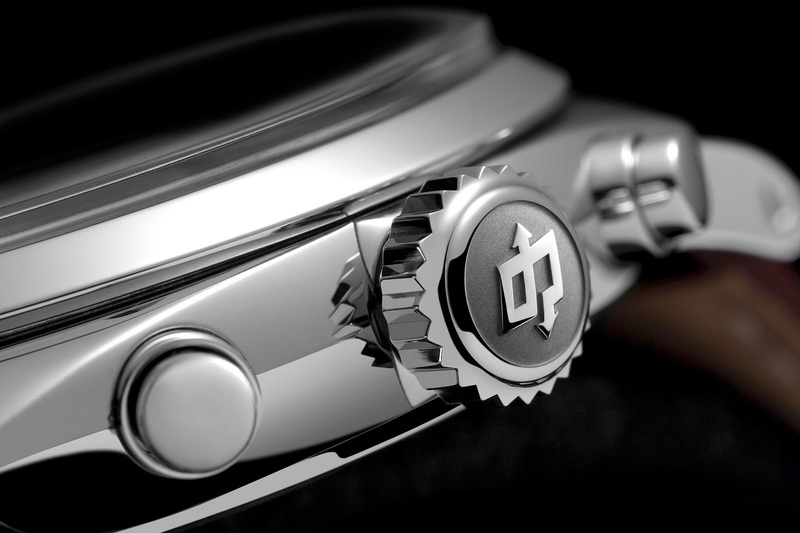 If the prototype Reference 2533 is the Chalice for Panerai, then the Platino 518 is the Holy Grail. This next image shows the backside of the Rolex movement made for the Panerai Reference 2533. Notice at the bottom of the case back there is a "2533" engraving. 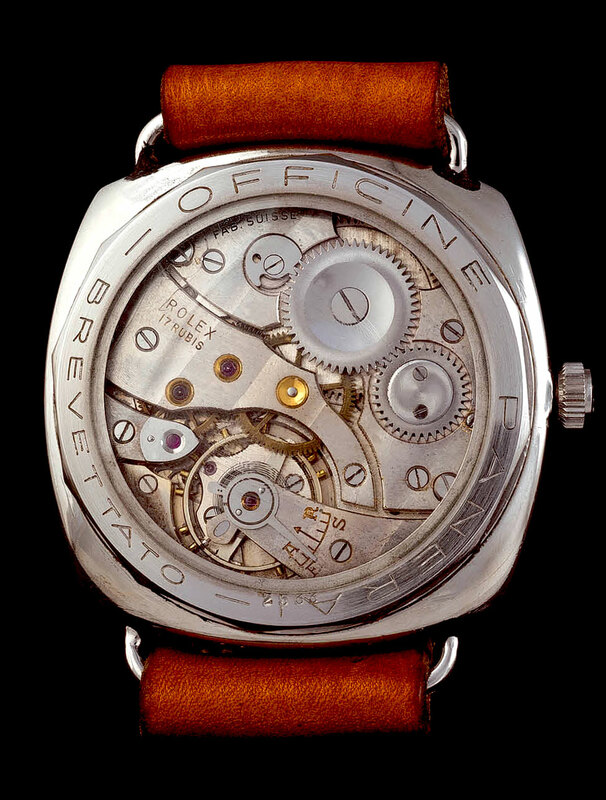 This historically significant model, of which there are only several known examples, features a screwed-on plexiglass exhibition caseback with Officene Panerai Brevattato engraving. It is also interesting to note that Rolex first used exhibition casebacks in 1931 to showcase how a Rolex Oyster Perpetual movement rotor operated, thus it is fascinating that Rolex incorporated the same feature into this prototype Panerai to showcase the Rolex 618 Calibre movement. 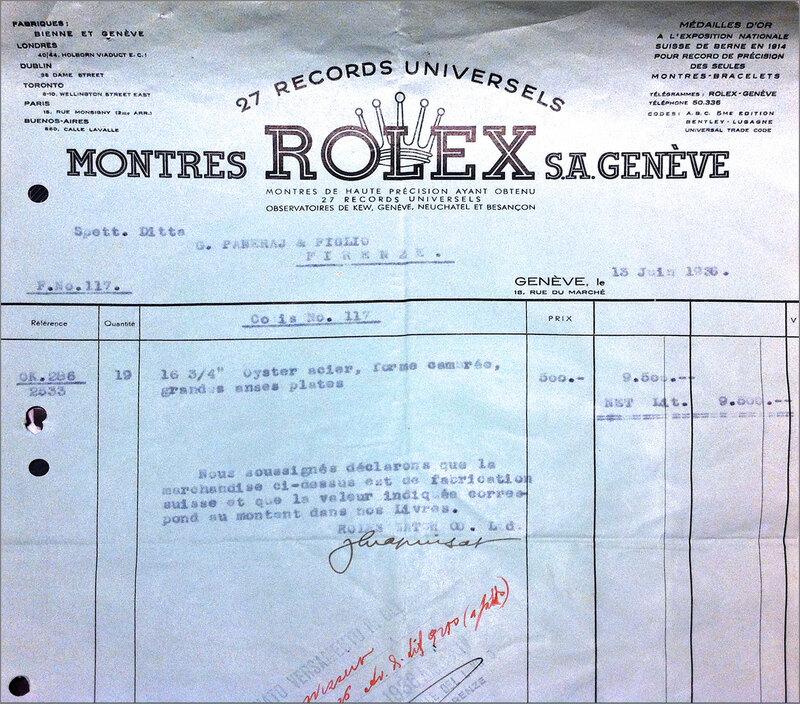 Below, we see an image of the first receipt from Rolex for the Reference 2533 for making the Panerai, which is dated June 13, 1936, and it appears courtesy of Francesco Ferretti. Below we see a wrist shot of the PAM 518 on Jake's wrist, which he took at SIHH in Geneva earlier this year. It was the first wrist shot published on the web, since Jake was the first to get a detailed briefing from Panerai at SIHH. I remember when I first saw this wrist shot, thinking what a great looking watch it was! 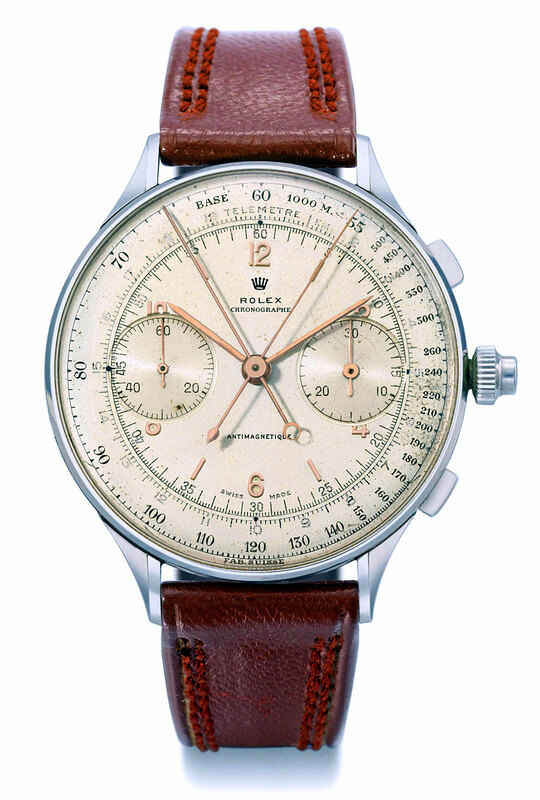 Then I realized the Platino 518 reminds me of one of my favorite vintage Rolex Watch designs of all time, which is the 44MM Rolex Split Seconds Chronograph Reference 4113 which was made between 1942 and 1943, which set an all-time auction record at Christie's in 2011 when it sold for $1.16 Million–and it was worth every penny! What does the PAM 518 have that the Reference 4113 doesn't? To name a few; much more masculine lugs with a sleek elegant appearance, but the most prominent feature is the mesmerizing exhibition case showcasing the Minerva Movement. The PAM 518 exhibition case back, which showcases the stunning Minerva movement is just as, if not prettier than it’s face. The PAM 518 has a see-through sapphire exhibition crystal flat case back which perfectly shows off the hand-wound Elite Panerai Opus XXV Calibre movement, which is exclusively made for Panerai by Minerva. What does this all mean? Technically … a lot! It contains a vertical clutch, column wheel chronograph that measures 12 3/4 lignes, 22 jewels, a glucydur balance, and 18,000 a/H. It features a swan’s neck regulator and offers a power reserve of 55 hours. We will have to get into the complexity of movements another time so you can appreciate and fall in love with the Platino all over again. The Platino is tied with a rich brown alligator strap and finishes off securing this beauty with a 18ct polished white gold buckle taking you down to a water resistance depth of 50 Meters. 50 meters is definitely not too deep considering Panerai offers many timepieces that can go deeper, but would you really need to sink this treasure to the depths of the deep ocean? I think not. 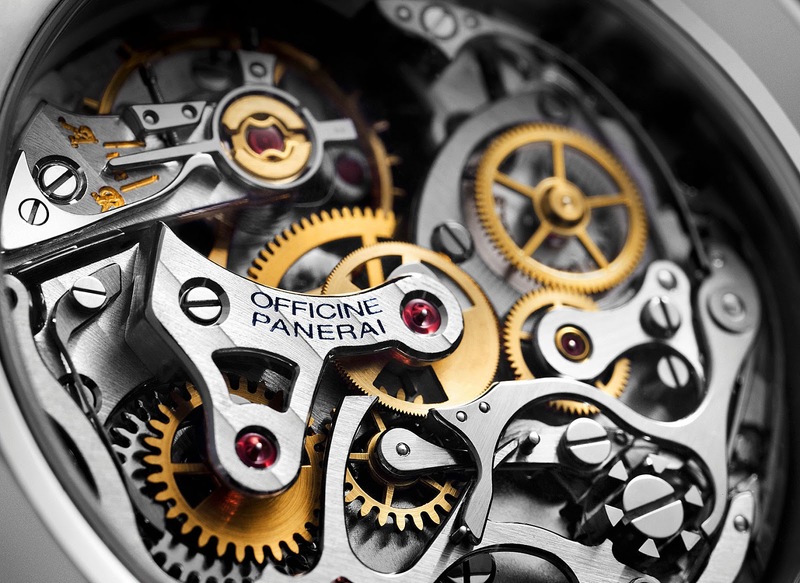 The Panerai brand has a fascinating history which began in 1936 with Rolex making all their watches. 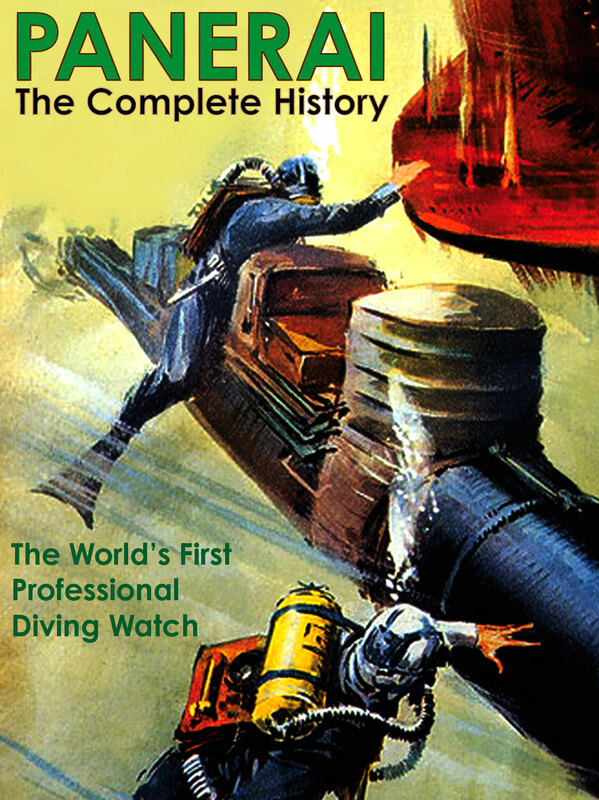 Panerai watches came into existence as a top-secret military watch made for the Royal Italian Navy by Rolex, and they were the very first dedicated dive/tool watches. The Radiomir Reference 2533 was the very first Panerai prototype ever made, so it is great to see some of its DNA make it into the PAM 518. Just as history and fashion repeat itself, Panerai outdoes itself here introducing in 2014 a new kind of Radiomir, The Platino 518...is flawlessly magnificent! 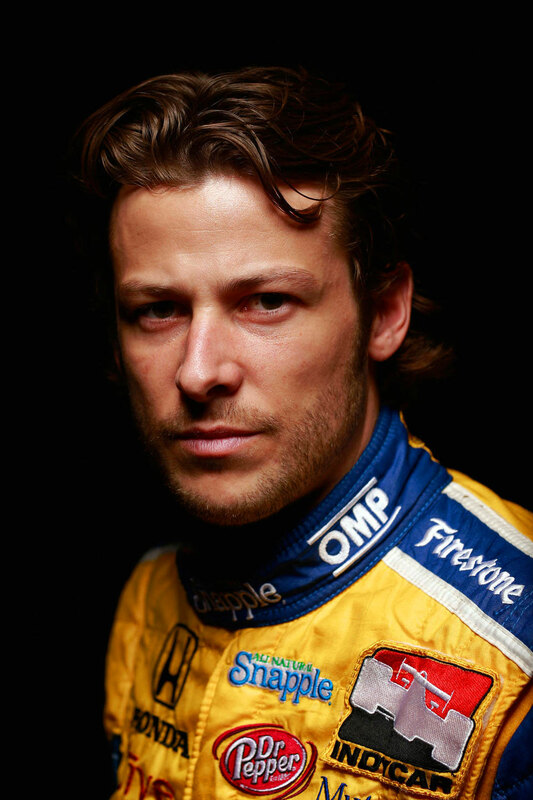 Marco Andretti is an American race car driver, and he is the grandson of racing legend, Mario Andretti. Marco's father is Michael Andretti. Having grown up in a racing family it was natural for Marco to follow in his father's footsteps. 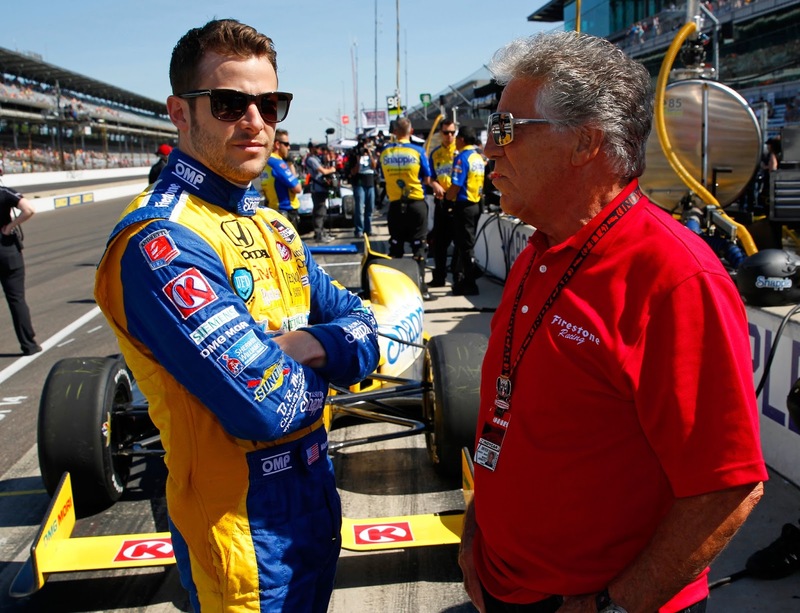 Marco Andretti is pictured below with his legendary grandfather, Mario Andretti. Marco Andretti is pictured below wearing his Luminor Panerai, on a metal bracelet. 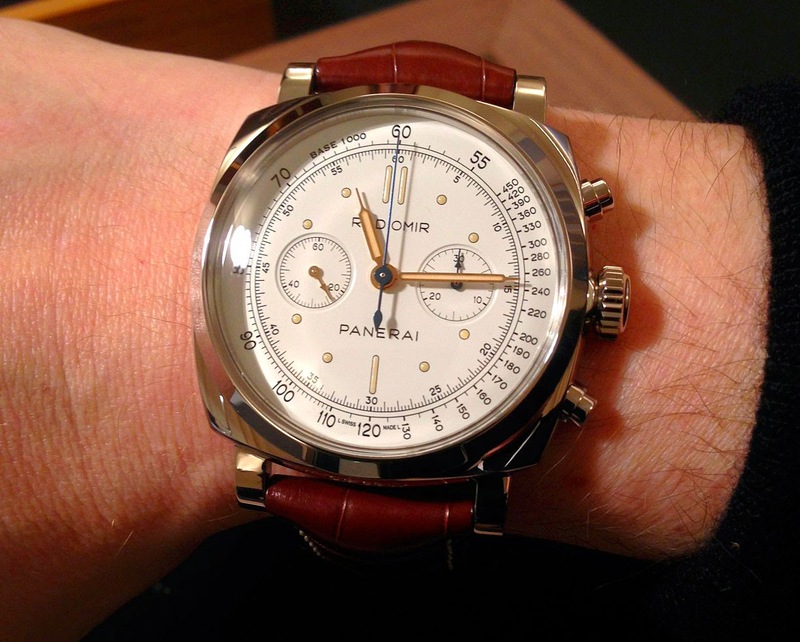 Radiomir Panerai PAM 424 Updated: Date Complication Removed! 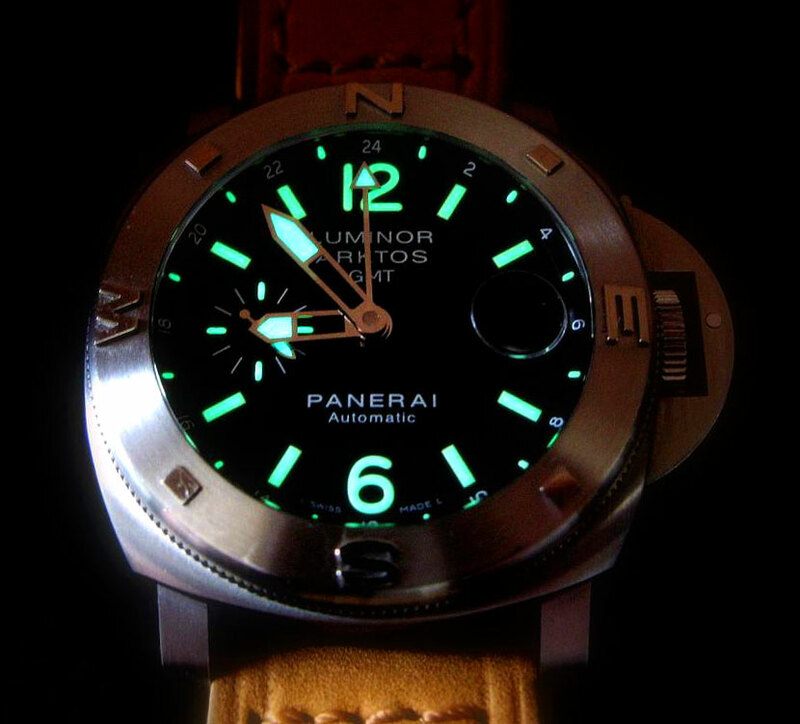 Panerai just announced, as seen below in the photo, they are making a significant change to the current PAM 424 model by removing the date!!! This is a significant move on many levels and I offer my design insight and opinion on a purely constructive basis. I never liked the the original PAM 424 since I thought having a date on the dial ruined the beautiful balance and symmetry of the Art-Deco California dial. Arguably the true beauty of the "California" dial is that it is already sufficiently complicated looking with its existing visual complexity. Also, there is a rule in graphic-art design, which makes a lot of sense, that says, on any object, there should NEVER be more than two different typefaces, and by having the Arabic typeface on the date wheel, it adds visual conflict that overcomplicates the dial and makes it look way too busy. 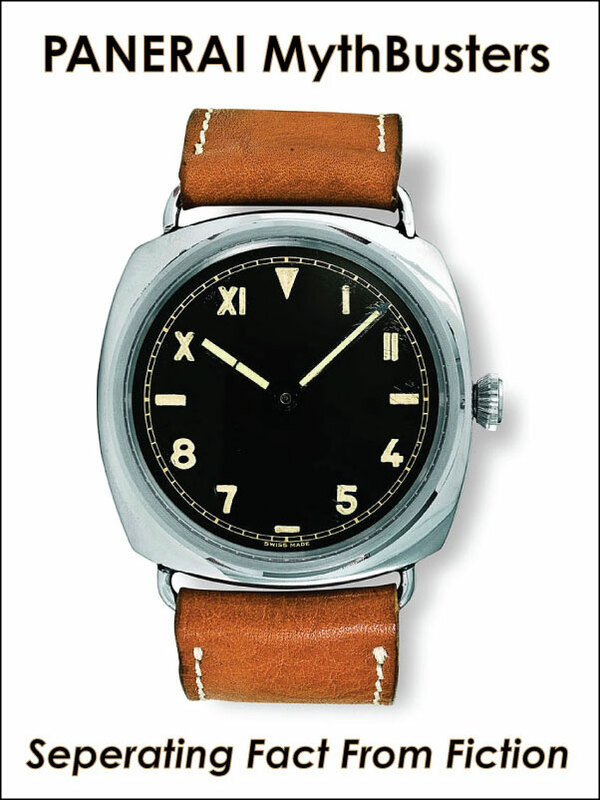 The Panerai PAM 424 model is based upon one of the most historically significant and beautiful vintage Rolex made Panerai watches ever made, which had an original Rolex Reference Number of 3646 (pictured below). 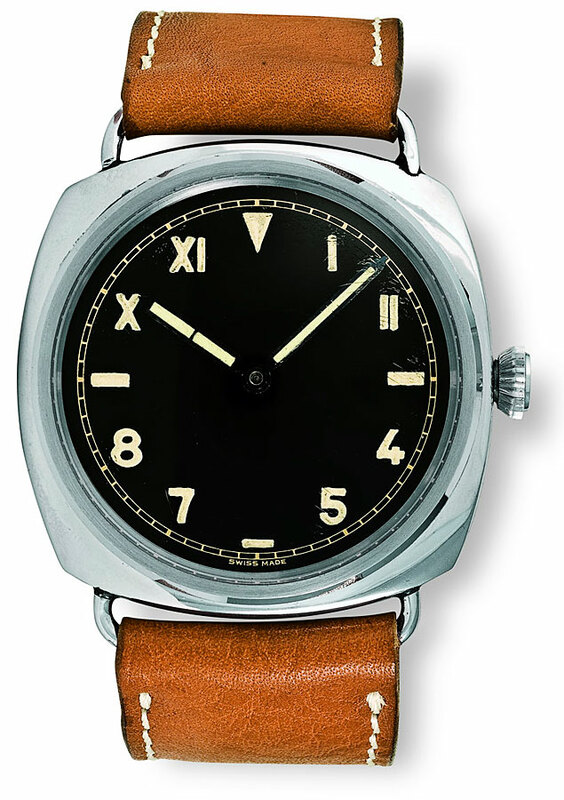 The Panerai Reference 3646 was made in the late 1930s, and featured an Art-Deco Rolex "California" dial, which is unique in the sense that it lacks any brand designation. This gave the dial and watch a super-clean, streamlined Art-Deco look. The "California" dial featured an upside-down pyramid shaped twelve-o'clock marker, as well as horizontal rectangular markers (indices) located at 3, 6, and 9; coupled with Roman numerals markers at 1, 2, 10 and 11 on the top half of the dial, and featuring Arabic numeral markers on the bottom half of the dial at 4, 5, 7, and 8. The original vintage Panerai 3646 (pictured above) also had wire lugs that were soldiered to the case, so if you wanted to change the strap, you would have to cut-off the old one with scissors and sew on the new one in place!?!? 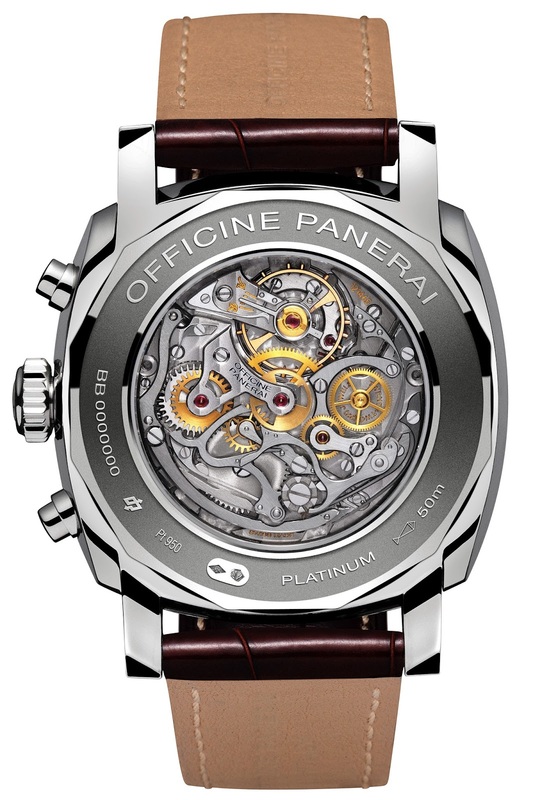 Also, as a model, it's pretty much identical to a "California" dial Panerai Reference 3646, with just a different dial–same body, different face. The Reference 3646 (pictured below) is also considered to be, in my opinion, one of the five most iconic vintage Panerai watches made. The other four models include the 3646 with the now classic "base" 3, 6, 9, 12 dial as seen below. 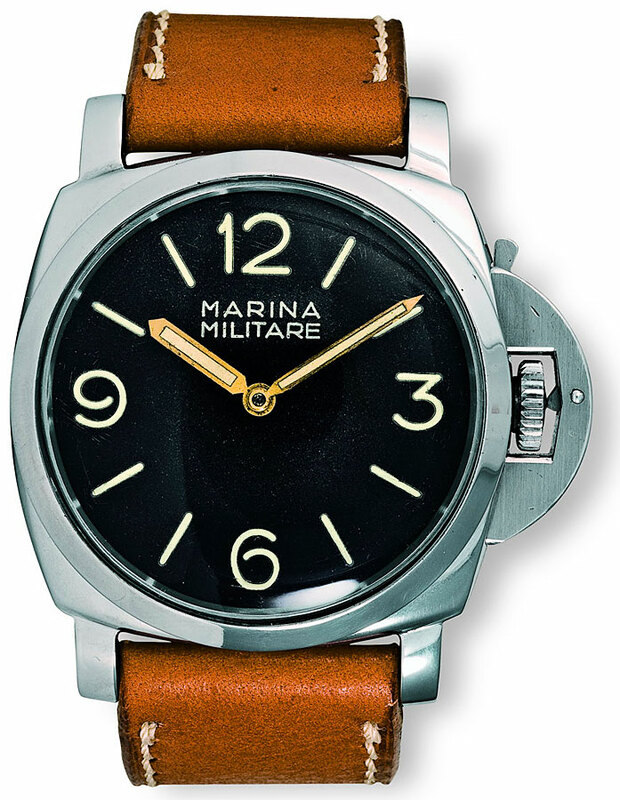 The Luminor Panerai, Reference 6152/1 (pictured below) which sometimes had the Marina Militare dial, as seen below is also considered to be one of the most classic vintage Panerai watches ever made. This vintage Panerai model from the early 1950s is the basis for the contemporary Panerai PAM 372. It is ironic that the vast majority of vintage Panerai watches lacked the crown guard, but today, it is very popular and iconic. 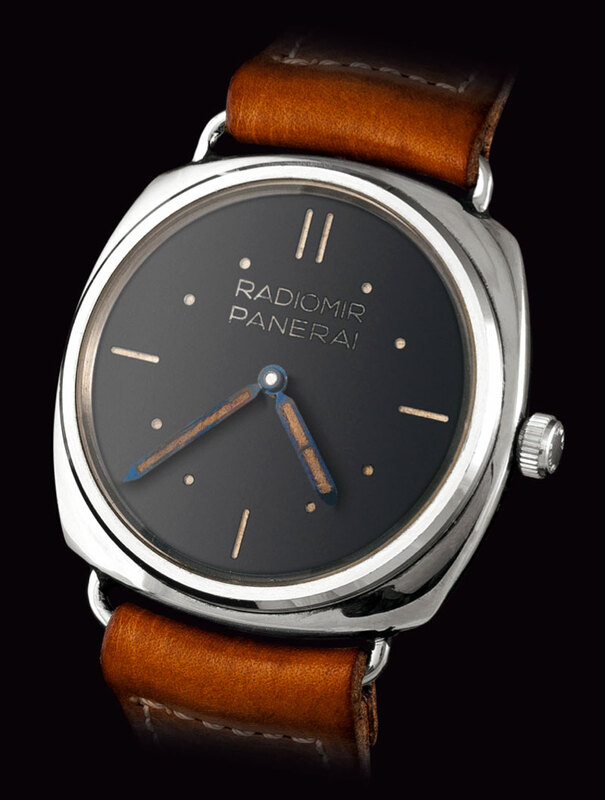 Also, the Radiomir Panerai Reference 6152 (pictured below) and Reference 6154 models from the early 1950s, which lacked the half-crescent crown guards, are also considered to be two absolute classics. The photo below shows a rare "bleach blonde" 6152. Just to be clear the 6152 (without the half-crescent crown guard) and the 6154, look very similar from the front, but the 6154 has a skinner, more shapely and streamlined body. Today, the only Panerai made that REALLY looks like the original vintage model is the PAM 372, which is pictured below on the right side. The watch pictured on the left side is an original Luminor Panerai PAM 6152, which was made in the early 1950s. Since they are so similar looking, many contemporary Panerai enthusiasts refer to the PAM 372 Luminor Panerai as "The Panerai." This is the case, (no pun intended ;-) since the contemporary PAM 372 has more authentic and accurate Panerai DNA than any other model made today. So what does all of this have to do with anything? I would argue that the Reference 6152 Luminor Panerai model (pictured above), and the Reference 3646 Radiomir Panerai with the California dial (pictured below) are so timeless and iconic, they are really kind of like what the Rolex Submariner and GMT are to each other for Rolex–both absolute iconic classics. In 2006, Panerai made a special limited edition version of the "California" dial Panerai, and they gave it a PAM 249 model designation. This model was limited to 1936 watches, and this watch was highly praised by enthusiasts as being a the first REALLY authentic looking 47MM modern/contemporary Panerai made. The PAM 249 is pictured below on the left side. 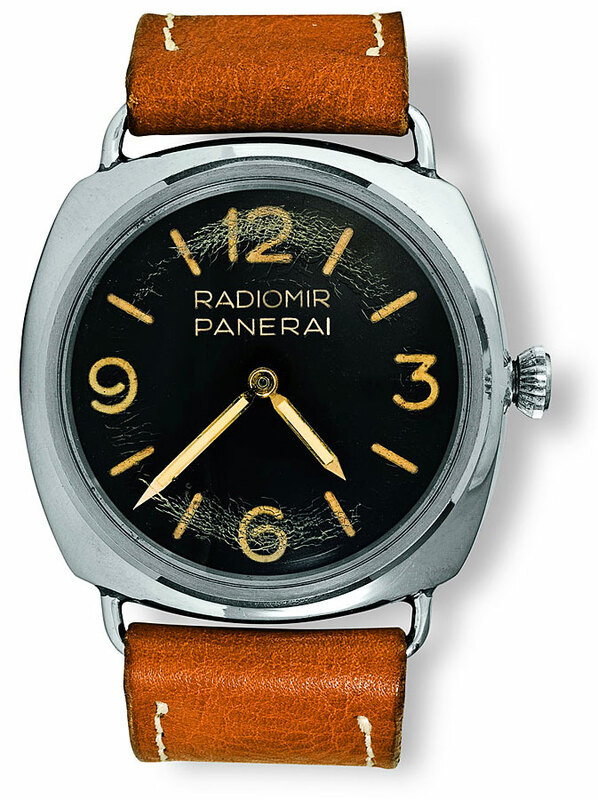 In 2012, Panerai introduced a new stainless steel "Califronia" dial model, named the PAM 448. This new model looked in many ways like the PAM 249, but if you look closely at all the subtle details, you find they are quite different, but in a quiet way. For instance, the five minute markers on the PAM 249 are pad printed much sharper and crisper than on the PAM 448, but even though the markers on the 448 are printed with much rougher edges, it gives it a more authentic, vintage look. In the photo illustration above, the 448 seems to have more of a tan colored lume, with the 249 being whiter. This is an optical illusion, and likely had to do with them being shot in different light. In other words, if you had them both in front of you on a table, they would be more similar in color. Also notice the 249 has a 26/26 straight strap, and the 448 came on a tapered 26/24 strap, with white stitching. In the future, I hope to do an extremely detailed comparison between the 249, 448, and 424 to reveal all of the subtle detail differences, which are pretty profound! So now let's explore the significant update on the PAM 424. The PAM 249 and PAM 448 are no longer available and sold-out quickly since they were made in such highly limited editions. 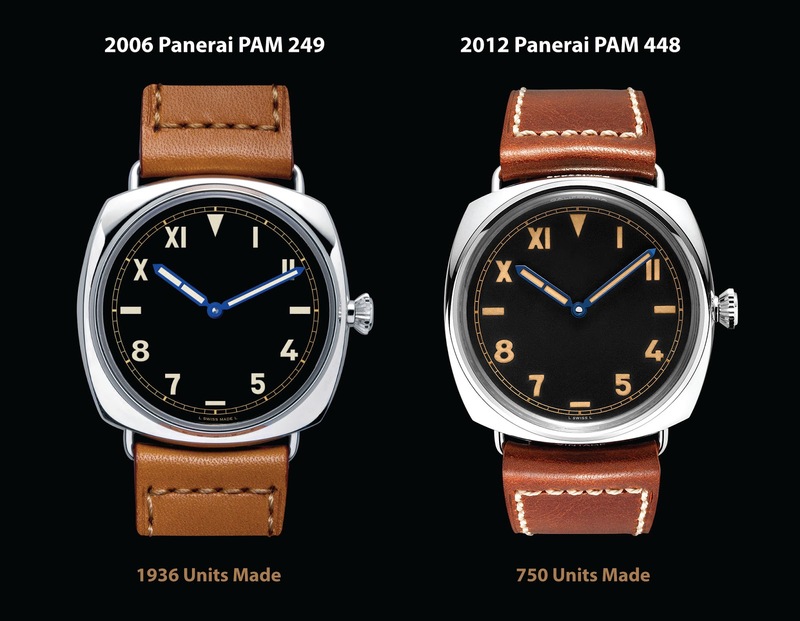 In 2012, when Panerai launched the PAM 448, which was a limited edition of 750 pieces, they also introduced the PAM 424, which was NOT a limited edition. 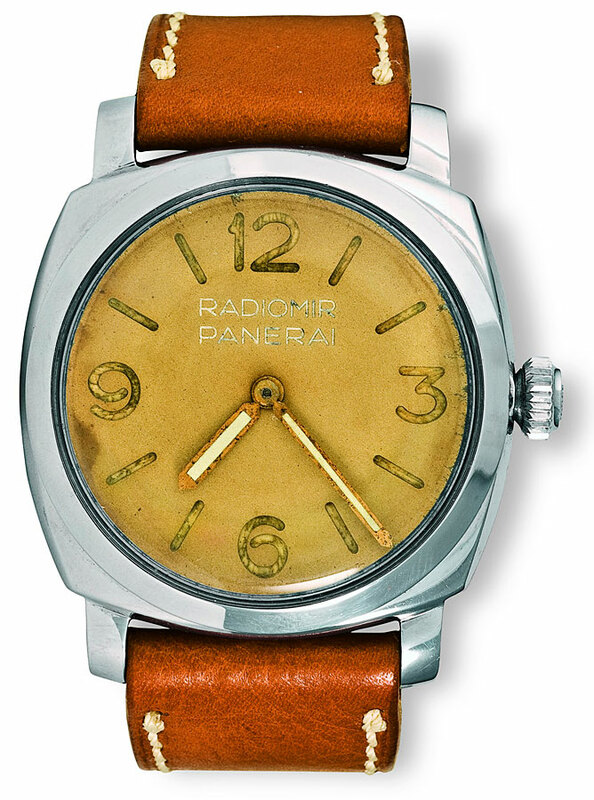 The PAM 424 looked similar to the PAM 448, and it added a date aperture window complication, as well as a Officine Panerai logo (above the 6 O'clock marker), and it featured gold hands, instead of the beautiful blued hands which matched the blue hands on the original 3646 California dial, which were carried forward and incorporated into the PAM 249 and PAM 448. The new/updated Panerai PAM 424 also has a sapphire crystal as apposed the plexiglass crystal the 249 and 448 have. 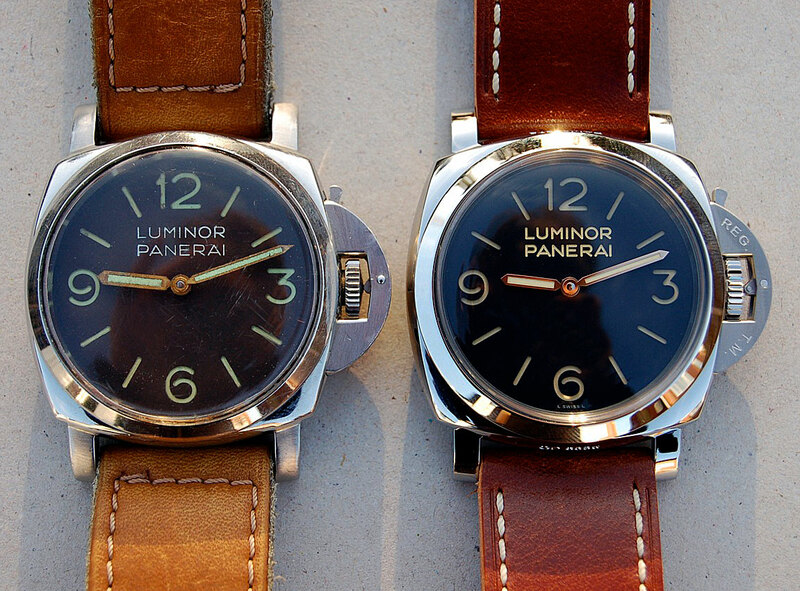 The updated PAM 424 is pictured below, next to the outgoing/discontinued Panerai PAM 424. 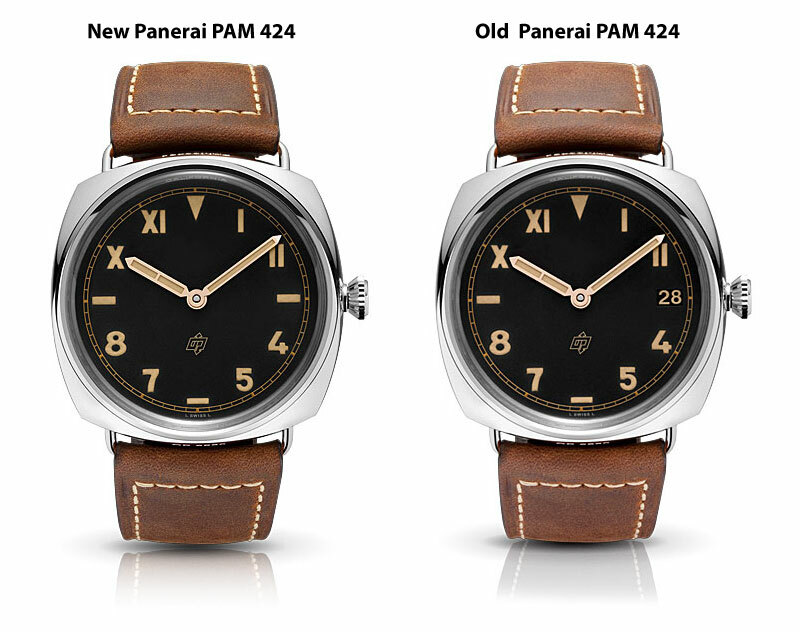 They look identical in every way, with the exception the new PAM 424 lacks the date. By removing the date from the PAM 424, in my opinion, Panerai made a HUGE improvement, which many enthusiasts will love, since it makes it much more balanced, historically accurate and authentic looking. In my personal opinion, I think Panerai should also offer a version without the logo on the dial, that also has blued hands. Some would argue that it might upset collectors or drive down the resale value of the PAM 249 and PAM 448, but I don't think that is a real issue. In the final analysis, I think the real beauty of the vintage Panerai watches was based upon their absolute and pure tool-watch design simplicity, and as Leonardo da Vinci put it so beautifully: "Simplicity is the ultimate sophistication." I wanted to publish this photo of Nad & Hammer hanging out together back in 2010. 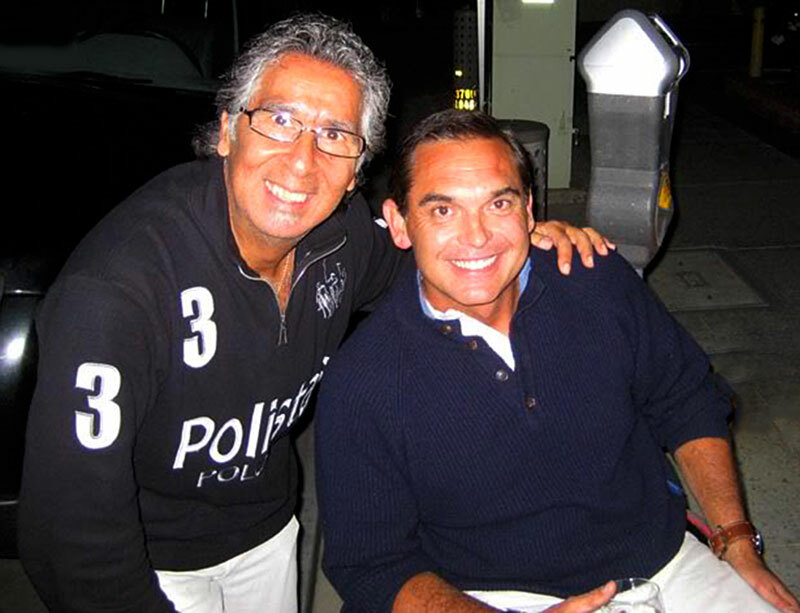 Nad & Hammer are two of the worlds top Panerai fanatics, and I love this photo because we see them hanging-out together.